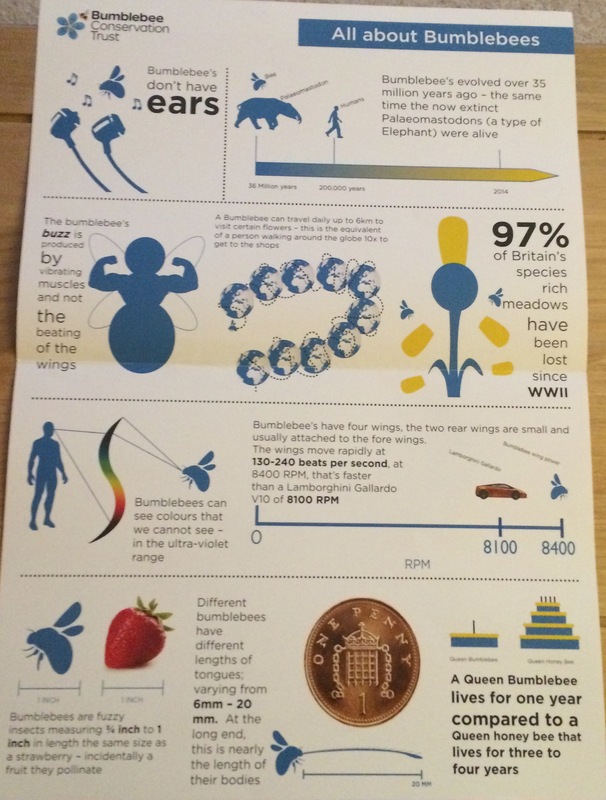 Today has been all about bees. I tried, unsuccessfully, to fit in some wild time at lunchtime, ending up instead in a very municipal park, devoid of flowers, just brown grass, an empty playground, a couple of trees, several rooks and me. A place I won’t be visiting again. 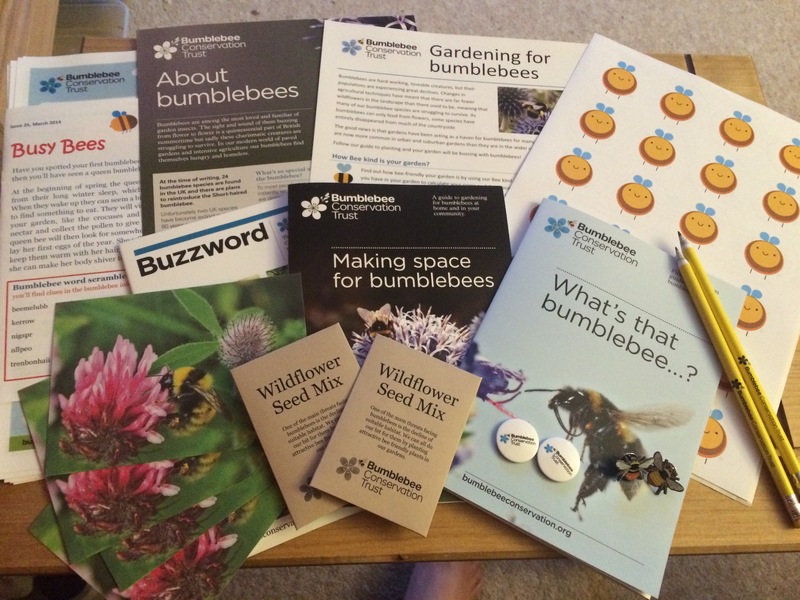 My day improved when I arrived home to find that the welcome pack from the Bumblebee Conservation Trust had arrived. 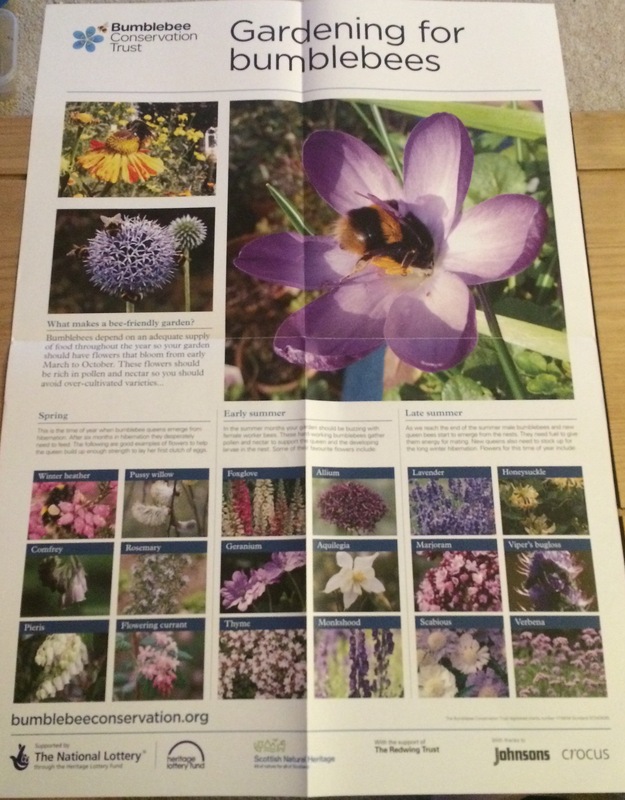 It was bursting at the seams of its envelope, containing lots if information, wildflower seeds, postcards, pencils, and pin badges as well as some great posters. 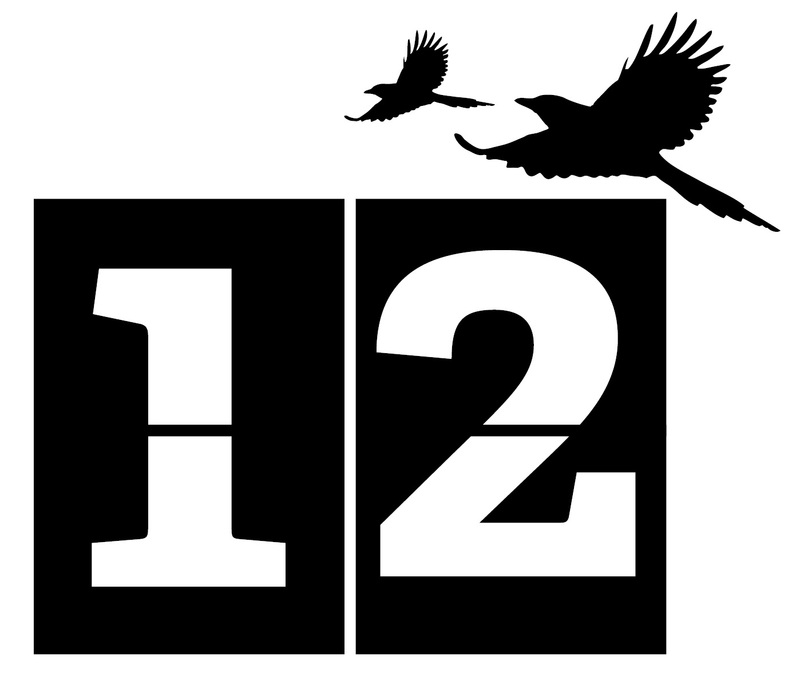 And stickers, for fun and the car. I love stickers! 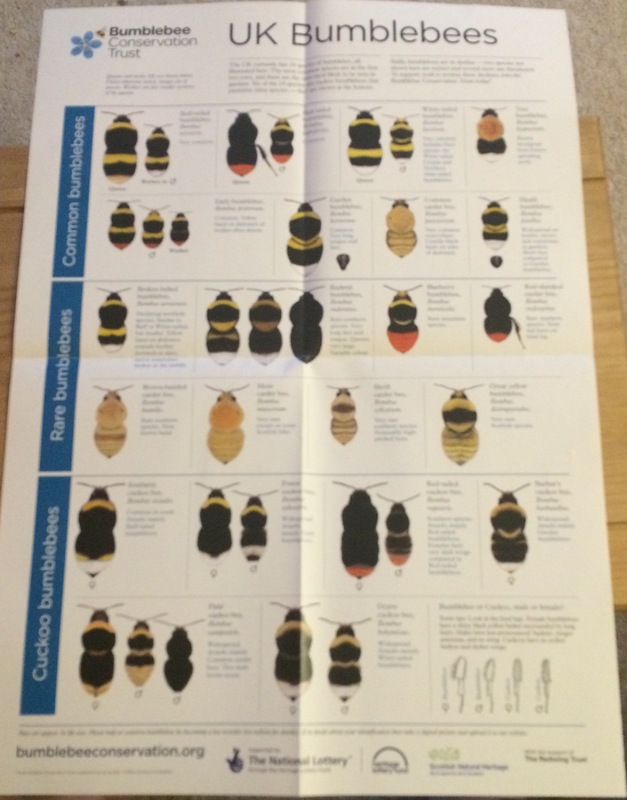 The fantastic posters we received. The bees are still working away in the garden, busy collecting pollen and nectar. Sadly, today we found a dead honey bee in the garden. 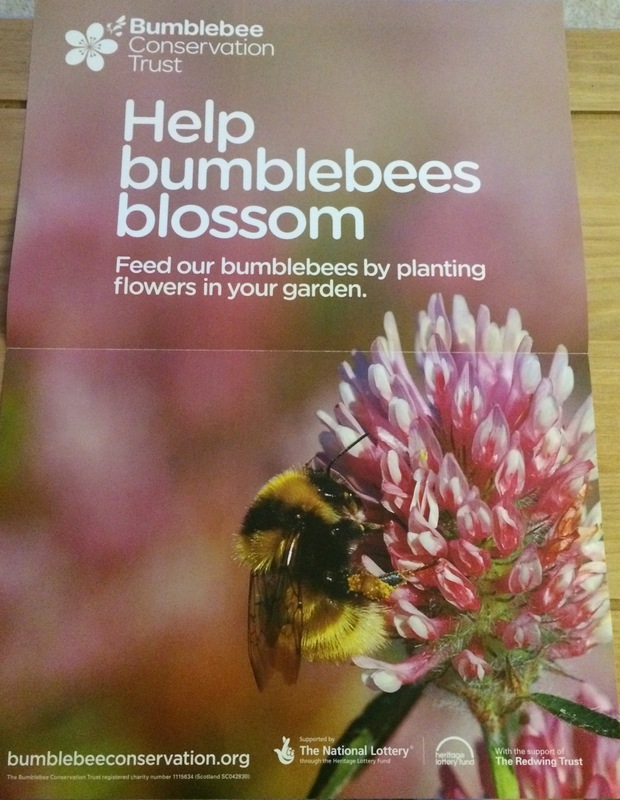 This gave us a great opportunity to look at the bee in detail, using a hand lens. 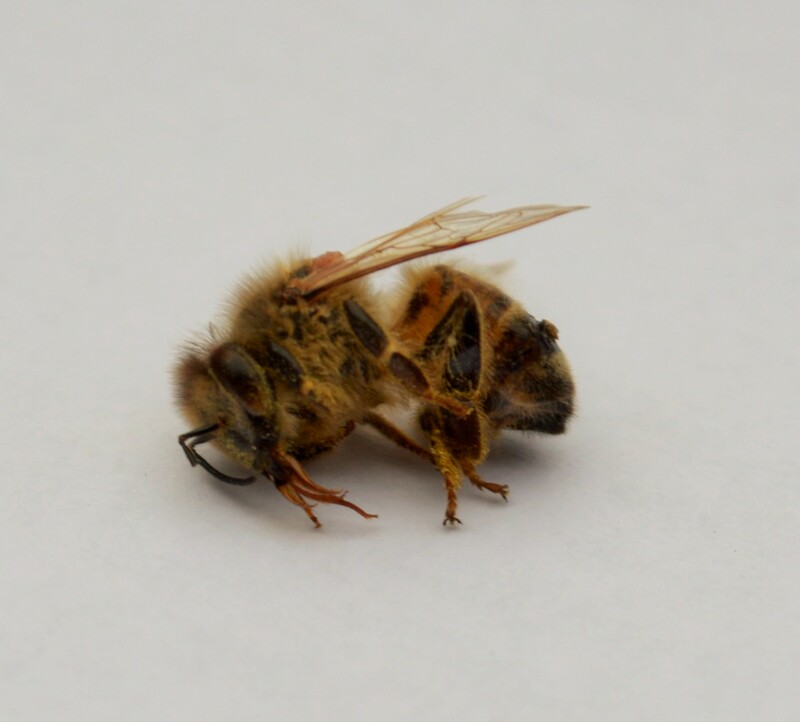 We think that the bee had varroa mites on it, a devastating problem for honey bees, that can completely wipe out hives, Hopefully this won’t happen to our local honey bees. 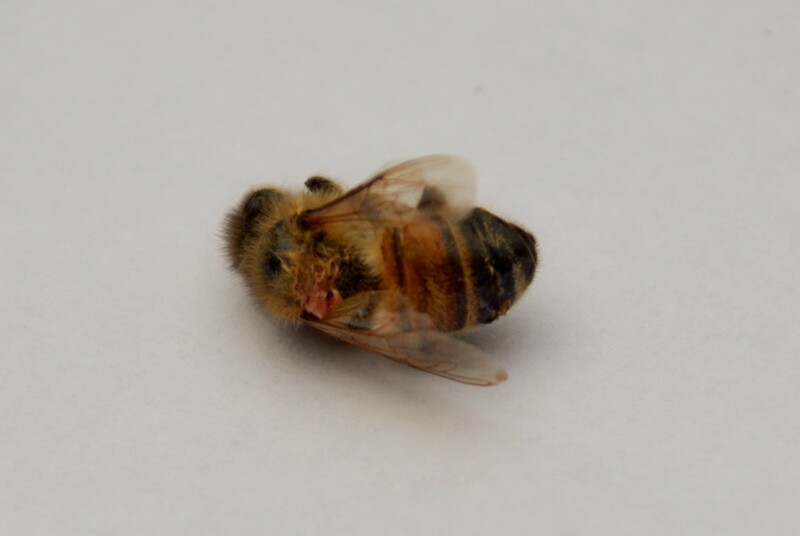 The honey bee we found dead in the garden. Once we’d had a good look at our unfortunate little visitor, we buried him in one of our pots containing bee friendly flowering plants. It was very interesting to be able to examine a bee in such close detail. 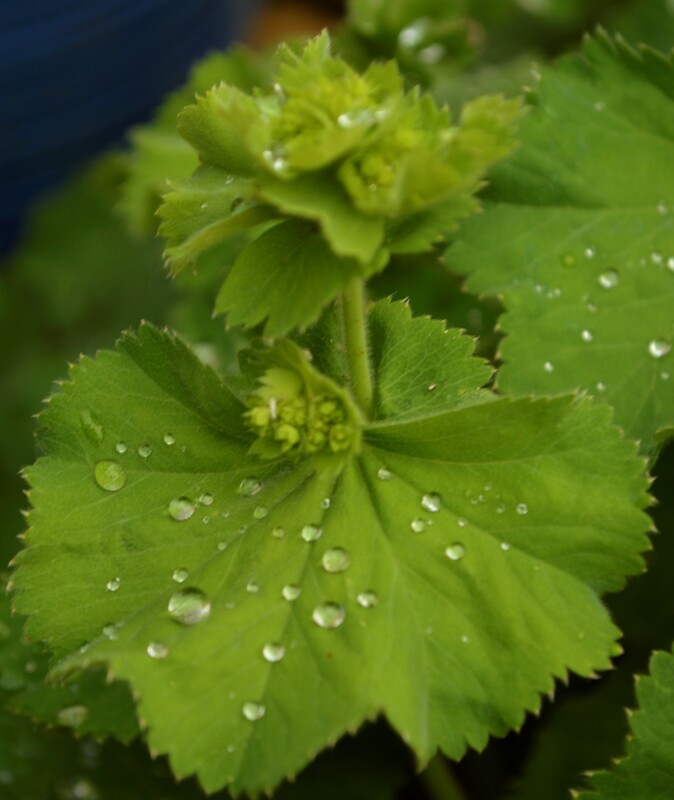 We’ve had some scattered showers today, which brought some slugs out in the garden, but also made the garden smell fresh and left droplets of water gleaming on the Lady’s Mantle, I love the way it looks after rain. 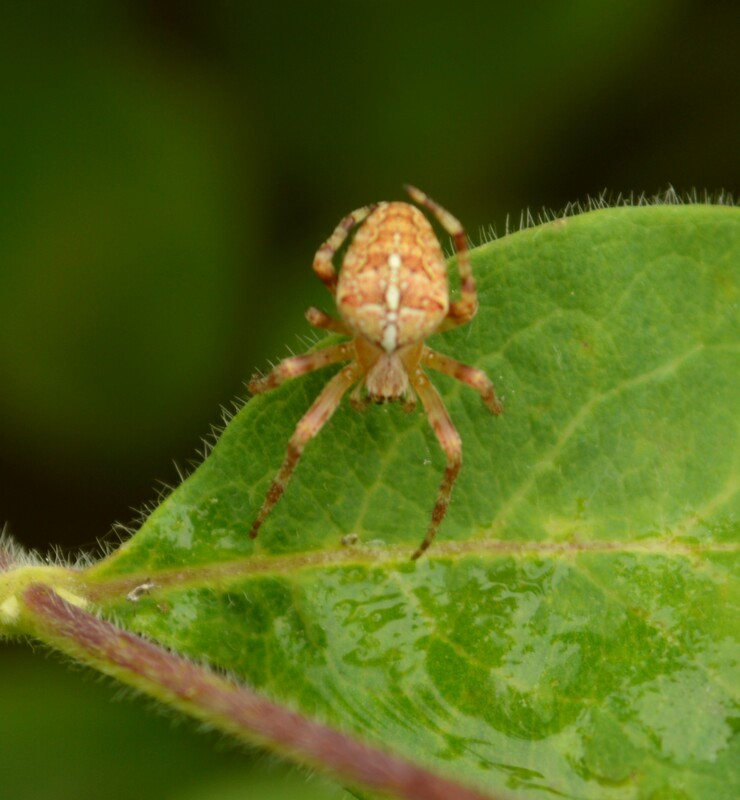 I also noticed spiders living on the honeysuckle, with beautiful patterns on their backs. 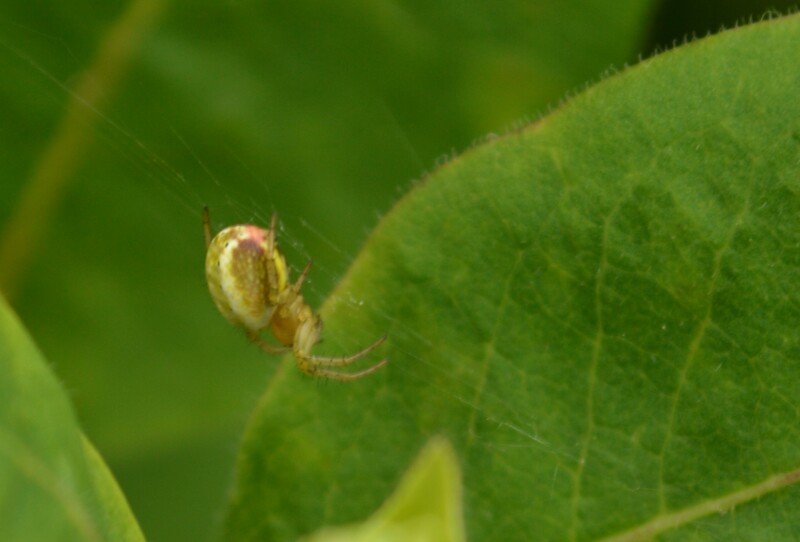 It’s amazing how much variety of life can exist in a small garden, if you leave homes to let it in.